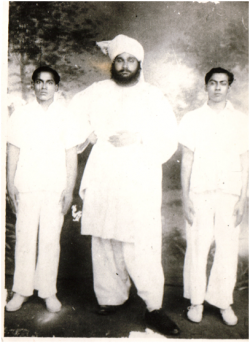 Lokman Khan Sherwani (Bengali: লোকমান খান শেরওয়ানী) was born August 14, 1910 in Chittagong, Bangladesh বাংলাদেশ (formerly East Pakistan, previously India). He died on August 27, 1969. He was a poet, journalist, and the provincial vice president of the All India Forward Block under its founder Subhas Chandra Bose who continued to call for the full and immediate independence of India from British rule. After the disappearance of Netaji Subhas Chandra Bose, Lokman was imprisoned by the British authorities in 1944 at the Central Jail in Dhaka. 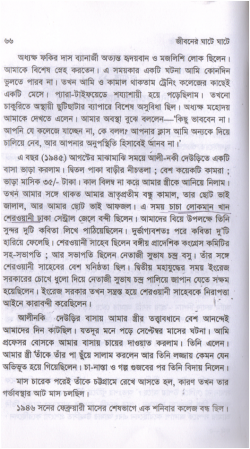 Lokman Khan Sherwani was married to Shobnom Khanam Sherwani, (Bengali: শবনম খানম শেরওয়ানী) who was also an active member of the Forward Block.. 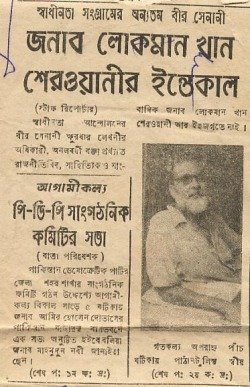 He has the credit of editing the first Bangla Magazine. 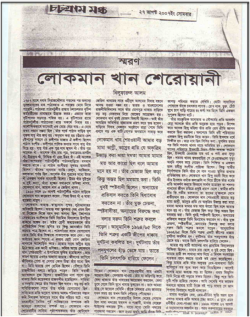 A rare photo of Sherwani with Subhas Chandra Bose (Source The Daily Azadi, Chittagong, Bangladesh).